L: I'm a CPA, but not a boring numbers girl! I actually continue to work full-time and Elizabeth manages the store! Even though I'm not at the store every day, you'll see me there on the weekends. I love working with all of our brides! 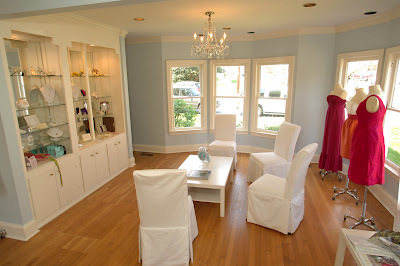 After travelling to Baltimore and DC to try on bridesmaid dresses for friends' weddings, it was obvious that Richmond needed an upscale bridesmaid boutique. While doing research to open a boutique, we discovered Bella Bridesmaid. It was the perfect fit - the best designer lines, beautiful design & aesthetic, and the support of an amazing group of franchise owners. We visited the Charlotte, NC boutique and our decision was made! E: I was a recent graduate from University of Alabama (Roll Tide! ), with a degree in Interior Design. I worked part time for some designers and worked in a great boutique up until we opened. L: Our trip to San Francisco for our first Bella Bridesmaid meeting! It was wonderful meeting all of the other franchise owners and our exclusive designers in such a fun city. So many awesome memories from that trip from karaoke to biking the Golden Gate Bridge. E: I love getting repeat customers. It is so nice to have a former bridesmaid return as a bride or vice versa! You get to catch up with all the girls and see them try different styles and colors for the various weddings they are a part of. Joanna August "8th Ave"/ Coren Moore "Emma"
L: Drinks outside on a patio followed by dancing! What to wear, what to wear… that's a tough choice - so many fabulous options! I would either wear a LulaKate seersucker dress with Jack Rogers or the Joanna August 8th Avenue Lace dress in white with statement jewelry! E: Trying out a new restaurant with friends or getting a big group together to grill out. I can't wait to get in my violet, faille LulaKate Jenny dress. I can throw a blazer and a fun necklace on or dress is up with some summer wedges and bright Kendra Scott earrings. I also have a few short chiffon dresses including Coren Moore's Emma. I'm actually wearing it in a friend's summer wedding that I like to belt with a pair of Jack Rogers and some cute earrings! L: Abby Manning - I loved her Monique Lhullier dress... the beautiful lace, the sweetheart neckline and the sash! I also adored their destination wedding on the beach in Mexico… simply amazing. E: I just loved the Royal Wedding and thought Kate's dress was stunning! I also loved the look of Jenna Bush Hager's dress. The lace was beautiful and the perfect style for their setting. L: Colorfully classic and preppy… I adore Lilly and Kate Spade! E: I'd say I have a pretty classic style but always try to mix that with some trendy pieces, bright colors, and fun accessories. A great scarf and big earrings seem to find their way into a lot of my outfits! E: Pizza and wine... can't get enough! L: Oh gosh - that's a hard one… The Bachelor/Bachelorette because I've watched every season. E: Bachelor/Bachelorette… always a fun excuse to get together with the girls. Though currently I am loving watching Kim Spradlin, Austin & San Antonio owner, on this season’s Survivor! L: Definitely, mascara and bronzer. E: Mascara, eyeliner and OH, hairspray! Lots of hairspray! 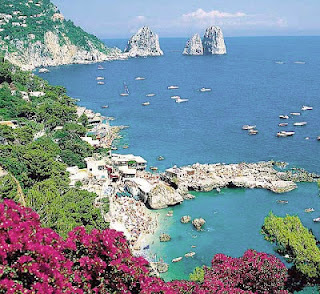 L: I love the beach, but I would have to say Italy... Capri & the Amalfi Coast to Tuscany. E: I've always wanted to go on an African safari... though I'd never turn down a beautiful beach on a far away island! L: Ritzy Bee, The Little White Book and Southern Weddings. E: I have a lot, thank goodness for google reader! I start with Bella Bridesmaid and all of our various designers. 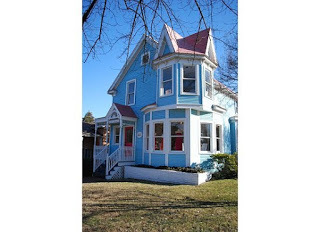 Then I check out some friend's blogs, fashion, wedding, cooking, interior design, and a few DIY. Real Housewives of OC or Beverly Hills? E: OC, but only on occasion. E: Facebook… but working on my tweeting skills! Green tea or skinny latte? L: Justifer... I heart Jennifer Aniston! L: Adele... her voice is amazing! E: Adele for the moment.